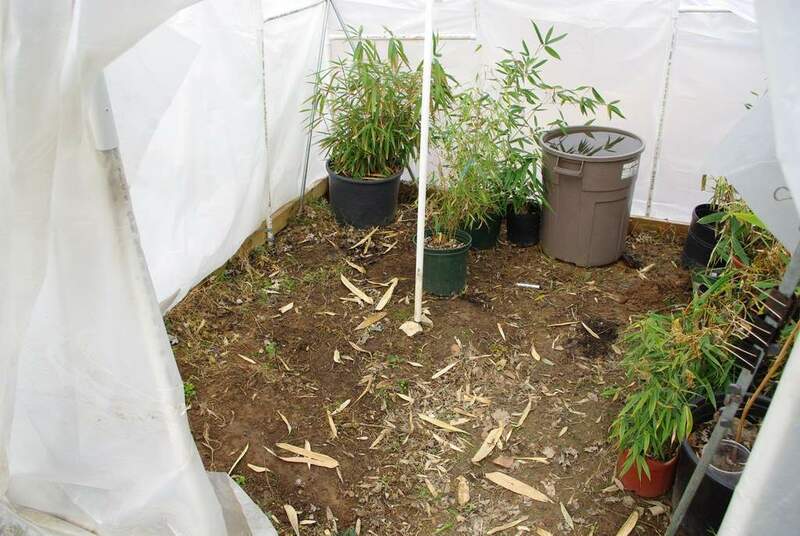 Although it's been pretty cold lately, at or slightly below our normal temperatures, I decided not to procrastinate and I started removing the potted bamboos from my temporary greenhouse. Last year I remember it being pretty warm when I did this, and it took at least an hour to get the pots out. Since it's above freezing but definitely not warm right now I'm not going to dawdle this year. There are on the order of 50 pots in here this year, and I don't have a well-defined plan on where they're going to go, but too much thinking and I'll end up putting this off for another week -- I really don't want to do that. They're all marked with tags so I don't have to remember which are which -- some species are easy to ID, but some are pretty similar to others. I didn't spend nearly as much time checking on the plants in here this winter as I did last year, so I don't know details of how the plants have done. There's a lot of green so I know they're in good shape for the most part, but only when I start pulling them out could I really see what's going on. My idea was to only empty part of the greenhouse today, leaving me some space for some cold-weather veggie starts. That's what I'm trying to prevent: early shooting. 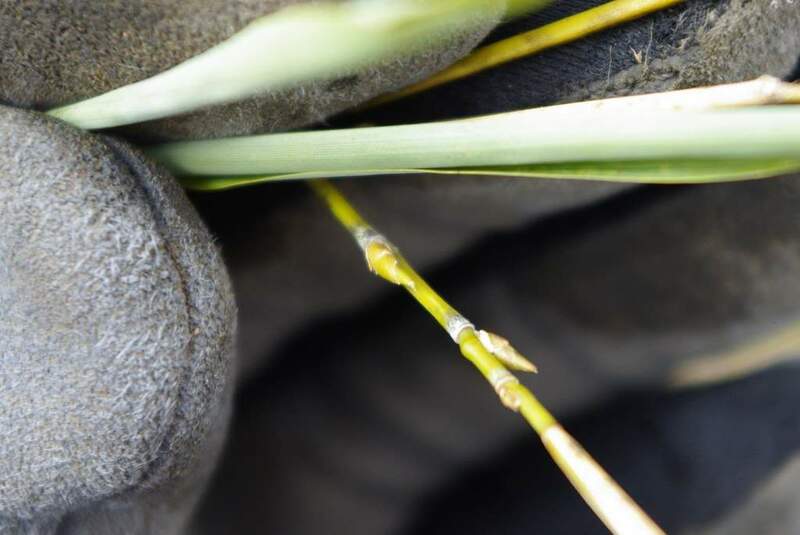 Although I'm eager to see the shoots emerging, I want these plants to shoot at the right time. 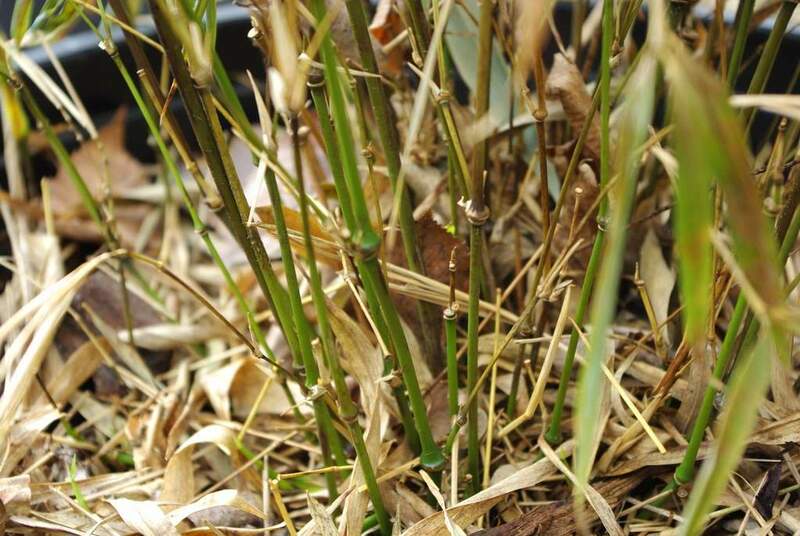 Early shoots are vulnerable to late freezes. It's pretty much fried. 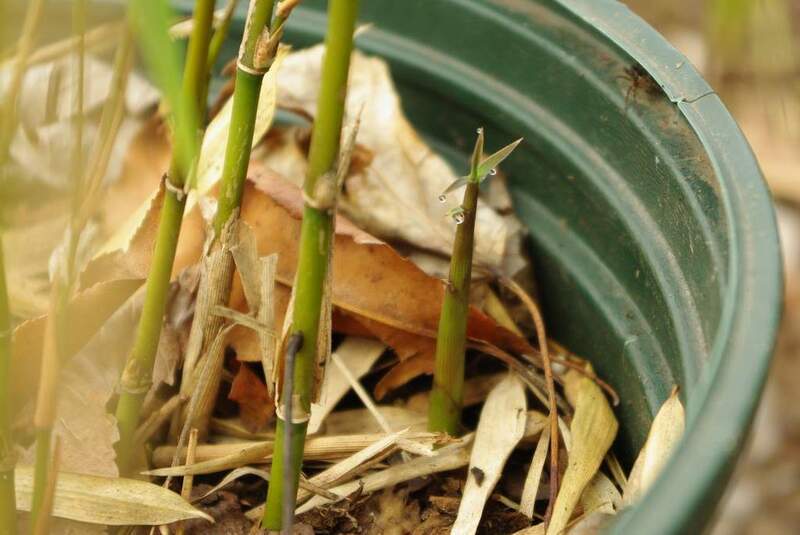 The good news is that there are some green culms left, so it's not top-killed. It will be interesting to see how this one bounces back. I'm going to have to find a better overwintering strategy for this one next year. So this plant should leaf back out fully, which is exciting because it's got a really attractive form. I don't know what I'll do next year when it will probably be too tall for the greenhouse. I'll most likely have to lay it on the ground and tarp over it as I did with many other plants. I'll use this space in the greenhouse to start some cold weather veggies: lettuce, spinach, kale, and similar. I'm thinking about building a little temporary raised bed in here too, or maybe planting some tomatoes in containers. If I decide to put some cold-weather crops in here I'll leave the greenhouse door open, but if I go with the tomatoes and other summer plants I'll close it back up and let it get hot and steamy in here again. I haven't decided what to do yet. 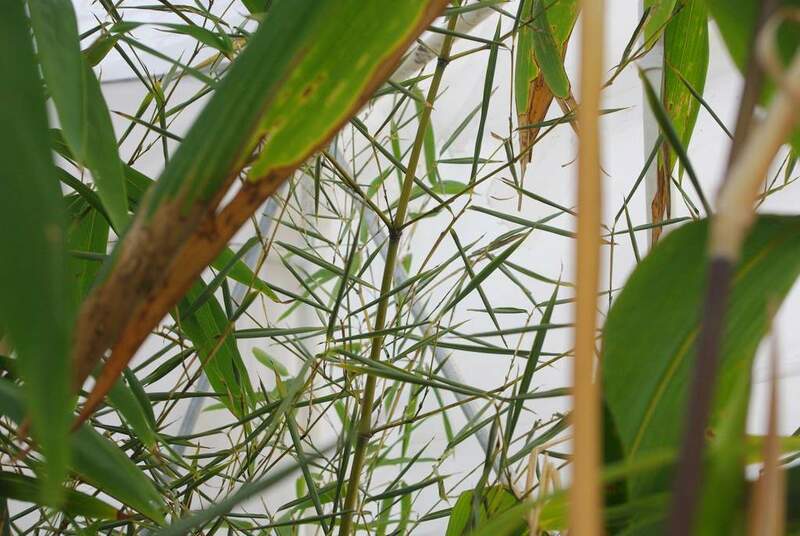 The only thing I do know is I still have half a greenhouse of potted bamboos to pull out sometime soon, and I need to figure out where to put them so they won't get in the way. Why do I have so many bamboos? 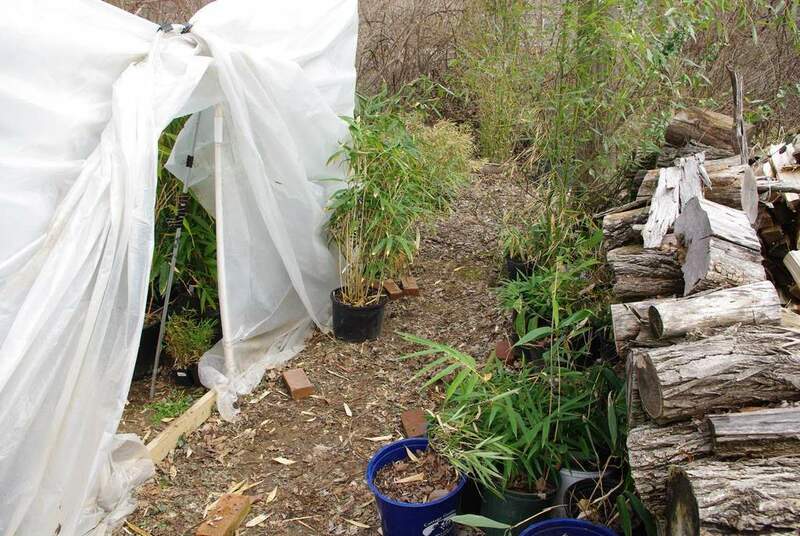 After 2 winters of keeping bamboos in a greenhouse, I've realized that the ones that were under a tarp came out a lot fresher than the ones under the greenhouse since the pots end up frozen solid over the winter when there can stay below freezing for many weeks or even months. I also cleared out the greenhouse today since it doesn't look like it will even get close to the greenhouse low of 14F, and freezes won't even last that long with the increasing daylight. 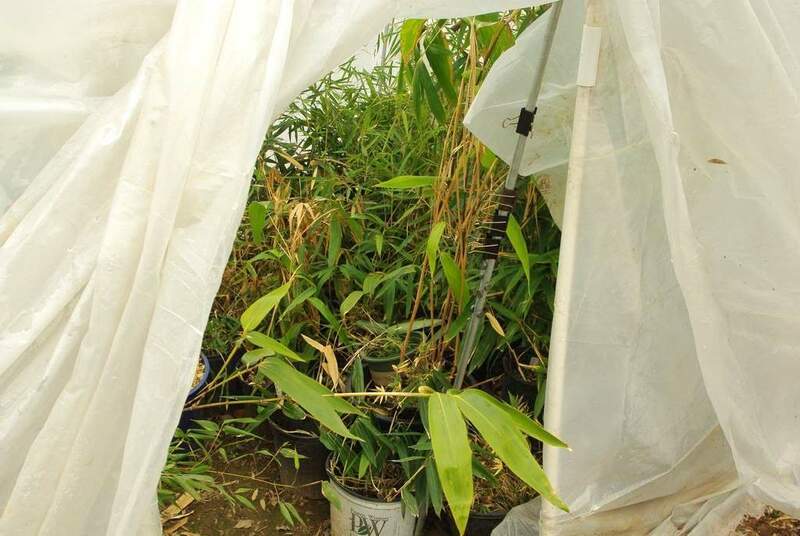 I'm interested in knowing if bamboos are OK to stay in the greenhouse all summer, but I'll keep temperature sensors in there to make sure it doesn't overheat. Hey Alan, thanks for visiting my blog :) is the bamboo one yours too? It gave me a good giggle. This is such an exciting time of the year...pulling plants out of the greenhouse and seeing what is thriving. Sometimes I feel like such a geek getting so excited over these things but hey, who cares, I guess I am a geek! Ali: you mean "put bamboo here"? Yes, that's a little side project blog. I did mean the put bamboo here one, yes. I really liked it. 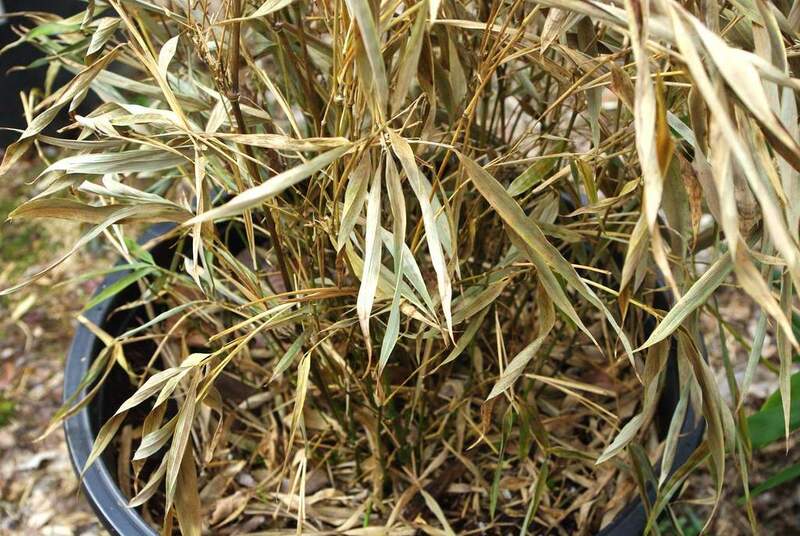 Ever since I started growing bamboo, I get the same feeling whenever I see an open lot, or any spot that looks like bamboo would look nice. I mean all along the highway where there's just grass and low shrubs would definitely look better filled in with bamboo, but I guess too much of it would make bamboo no longer a rarity. 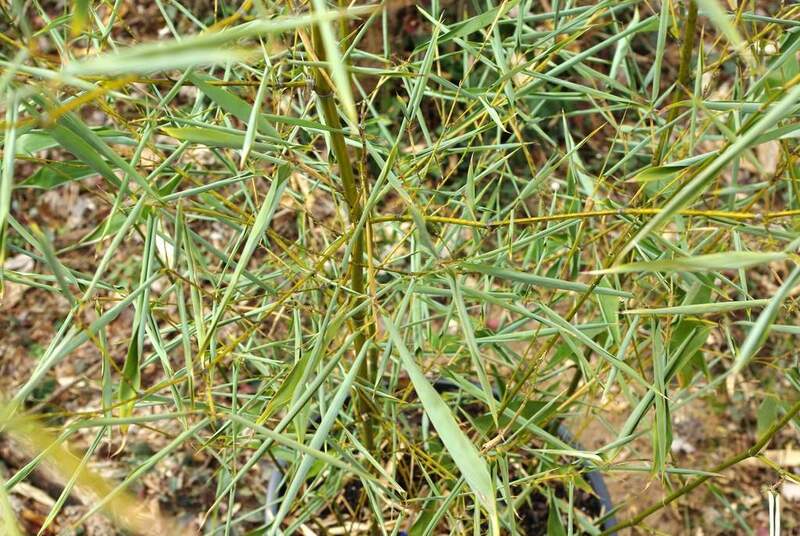 Anyways there are a surprising # of people locally who are willing to try out growing bamboo, but have no idea it grows in the north. 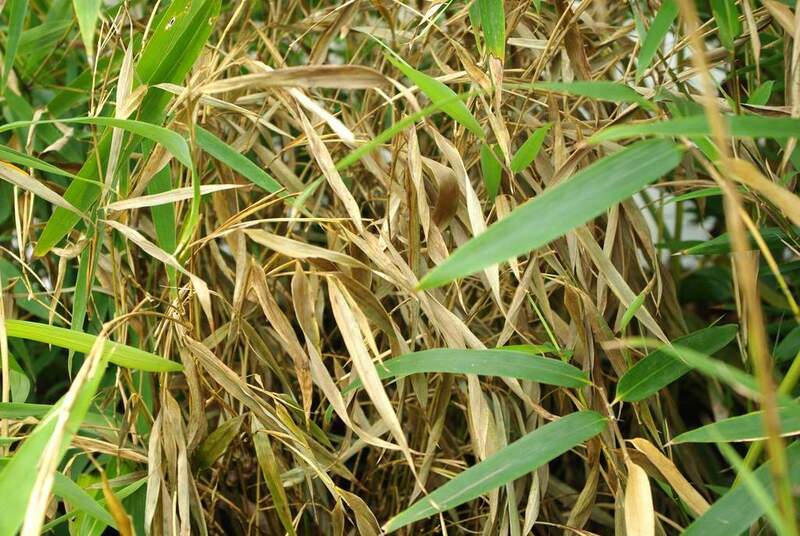 Steve: when you see a spot that would be good for bamboo, take a photo and send me an email with the details. I'll add it to the site. Sure, I'll look around. 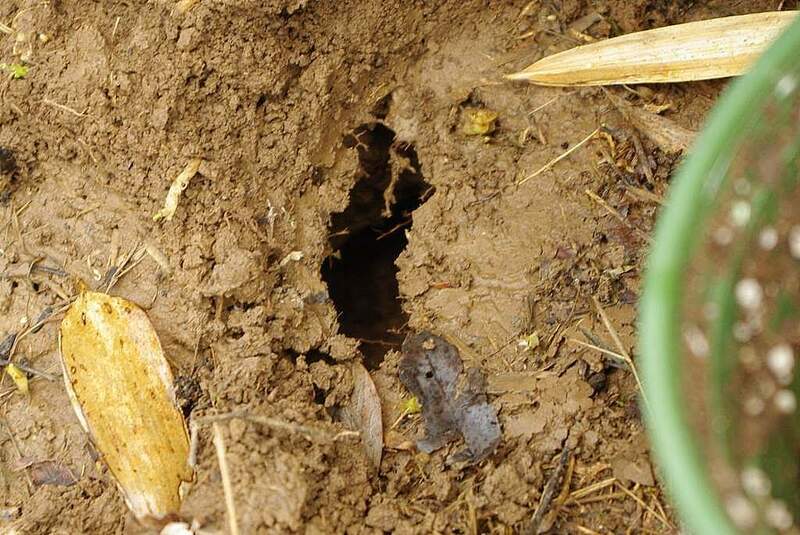 To be honest I feel like every property needs some bamboo, but there are places that need them really badly because the soil is so under-utilized. keep black wash basins or even black rubbermaid oval tanks on the south side of your greenhouse; in Indiana, I had several large black rubbermaid tanks and along the south side of a 10x20 plastic single walled "cold frame" and it never got below 33. I was shocked at how much the water mitigated the temperature swings, and the plants love the humidity!